Searching for MOT testing in Shrewsbury? 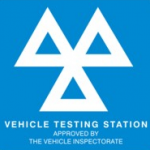 MOT testing is a hugely important responsibility and a legal requirement for owning a car. And of course, getting your MOT test on time means you can prevent future issues occurring with your car, saving you money in the long term. To stay organised with booking your MOT it’s always useful to know of a reliable place that you can receive your MOT test. Here at Billcar, we are an approved vehicle testing station offering a reliable and convenient MOT testing service to all customers in the Shrewsbury area. Our MOT testing includes all classes from 4 to 7. We have a great team qualified to conduct MOT testing at a date and time most convenient for you, so that you can have your car tested and ready for use again as quickly as possible. At Billcar, we always put our customers first which is why we offer very reasonable rates for our MOT tests. For the best quality service at the best possible price, we are the people to contact. To organise your car testing in Shrewsbury, get in contact with us today to book your car test or to find out more information about our MOT service and we’ll be happy to answer any questions you might have.